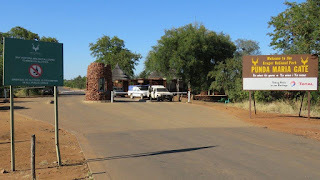 The Makuleke Contractual Park in the northern region of the Kruger National Park is the result of a ground-breaking land claim agreement between the Makuleke people (a local Shangaan tribe) and the South African National Parks Board in 1998. The “triangle” is a wedge of land created by the confluence of the Limpopo and Luvuvhu Rivers at the tri-point Crook’s Corner, which forms a border with South Africa, Zimbabwe and Mozambique along the Limpopo River. This is a region of amazing diversity and the unique geology has created beautiful and varied topography. 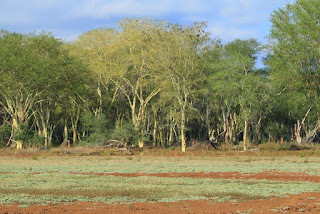 The area has both semi-arid vegetation including numerous large Baobabs and Fever trees as well as rich riverine forests with large Nyala trees. 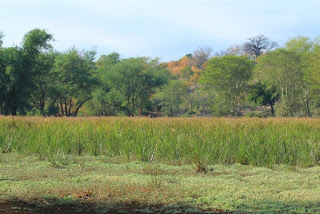 There are 31 scattered pans and other wetland types that make up the Makuleke Wetlands, from Crook’s Corner near the Pafuri border post in the east, all along the Limpopo river for 43 kilometers and 7,757 hectares to the Kruger National Park’s border fence in the west. This is a very sensitive eco-system with unique trees, plants, birds, frogs, and fish. Unfortunately, or maybe fortunately, it cannot absorb dense tourist activities and the region is not accessible for general tourists visiting the park. The only way to see and experience this beautiful part of the park is as a guest of one of the 3 concession holders that operate in the region. This arrangement is the result of the land claim settlement with the Makuleke community, who benefit financially from the concession holders’ activities. Game is plentiful. One is most likely to encounter Nyala, Buffalo and Bushbuck in the riverine areas. The Park boasts over 350 species of birds, with an impressive list of specials including the elusive Pel’s Fishing Owl. 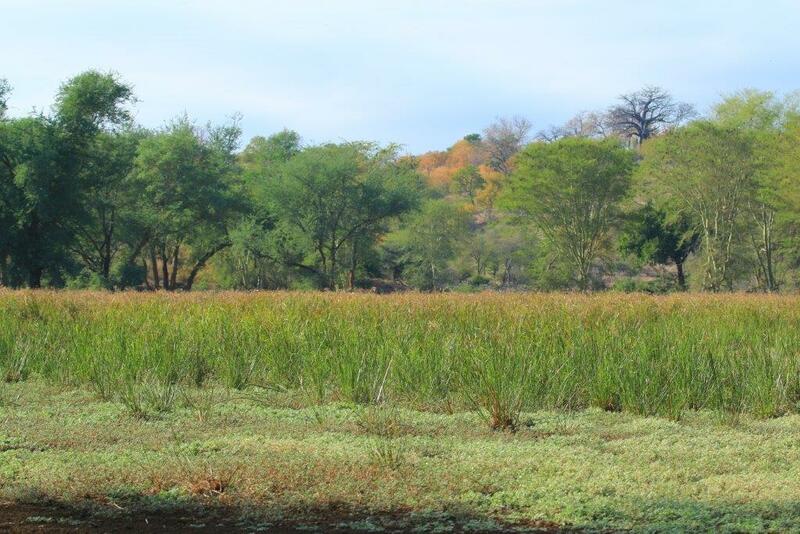 The Makuleke Wetlands received its Ramsar status as wetlands of International Importance on 22 May 2007. 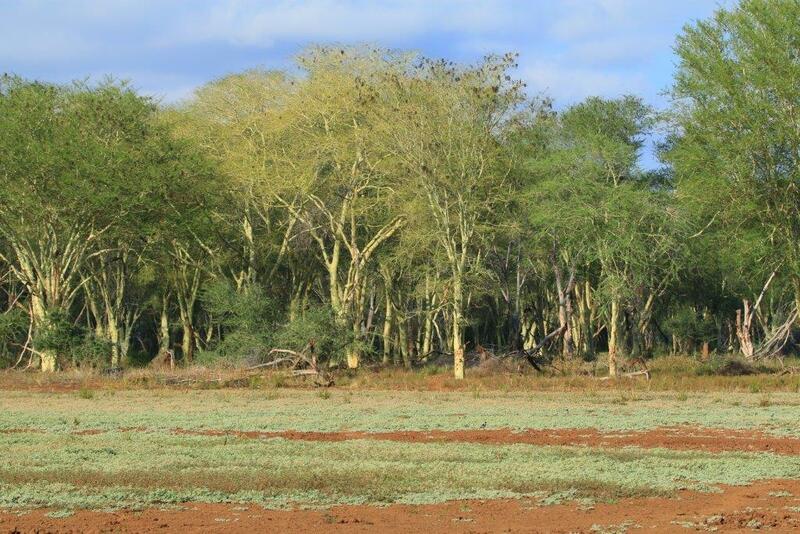 It was the first Ramsar site owned and co-managed by a community - not only in South Africa, but worldwide. The wetlands are an excellent example of a floodplain wetland type. Prominent features include riverine forests, riparian floodplain forests, floodplain grasslands, river channels and flood pans. Flood pans are depressions in the floodplains which are intermittently filled from floods and rains - they are of great importance in this ecosystem as they hold water right into the dry season, thus acting as a refuge point for wildlife and water birds during both winter and summer months. The floodplains attenuate floods, resulting in reduced flood damage in downstream areas of Mozambique, are important for groundwater recharge, and maintain riparian and floodplain vegetation. We were extremely privileged to go on a guided tour through the region. 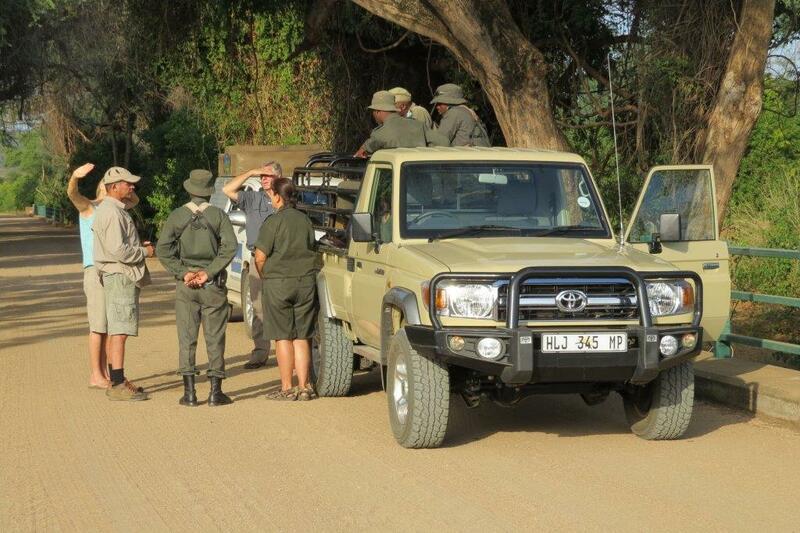 We met Sandra Visagie, the Section Ranger Pafuri on the Luvuvhu Bridge early on a Tuesday morning. Sandra used the opportunity to visit some of the remote areas of the region. She came with a Toyota Land cruiser 4x4 pick-up, accompanied by 4 well armed field rangers. As it was early winter, the roads were dry and dusty. Only some of the pans had visible water levels. But still, we could see and experience the beauty of the area that is so jealously guarded by Sandra and her staff. During the summer rain season between October and April, roads in this region can be inaccessible for up to 9 months. Sandra and her staff know the details of each of these pans, from their names, exact location, their extent, water levels, to the unique plant and animal life that distinguishes it from the next. Names of the pans that we visited include Rietbok pan, Gila, Mapimbi, Hlangalube, Makwadzi, Spokonyolo, and Banyini. On our way back late that Tuesday afternoon, Sandra showed us Lanner Gorge. 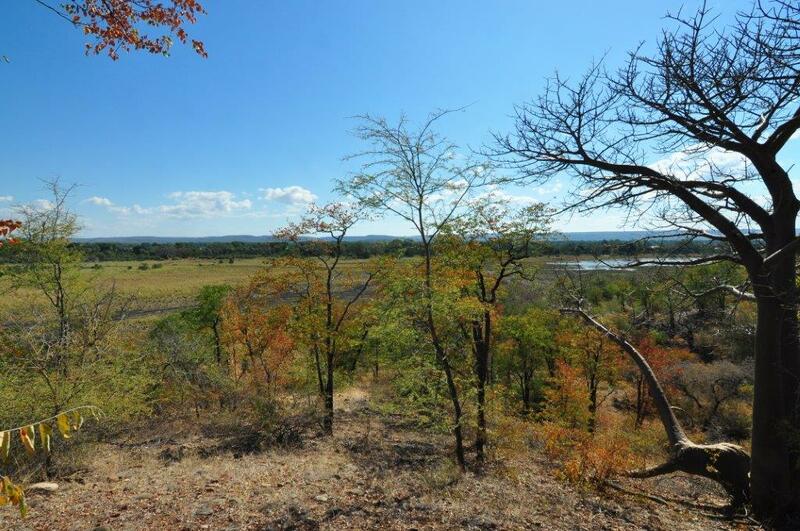 Although it is not part of the Ramsar wetlands, it is one of Makuleke Region in the greater Kruger’s most beautiful natural splendors. The gorge hosts the magnificent Luvuvhu River. Once again, it is only visitors to the Makuleke Contractual Park Concessions who can witness this beauty, or if you are as privileged as we were. 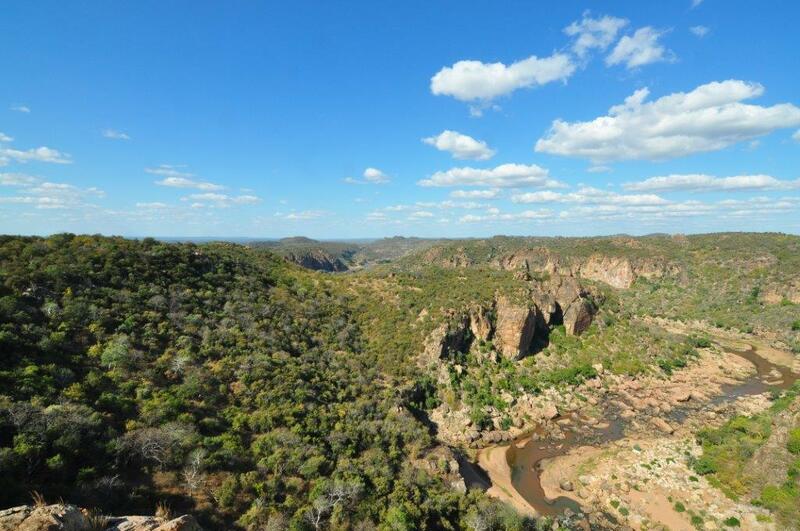 The Makuleke region falls within the Great Limpopo Transfrontier Park’s boundaries which was proposed in 2002 through an international treaty between South Africa, Mozambique, and Zimbabwe. 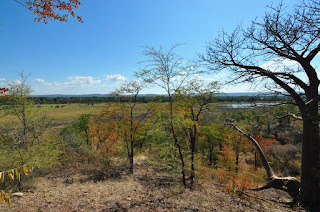 Although the park is still in progress, it means national borders are close to the Makuleke region and in many places easy to cross, especially in the dry season. Animal poaching is a reality and a fulltime threat and challenge to Sandra and her team. The 3 concession holders in the Makuleke region mentioned earlier, are The Outpost Lodge (http://www.theoutpostcamp.com/), Eco Training (http://www.ecotraining.co.za/), and Wilderness Safaris. The latter announced in September 2014 its withdrawal from the area after extensive damage to their Pafuri Camp during the floods of 2013. 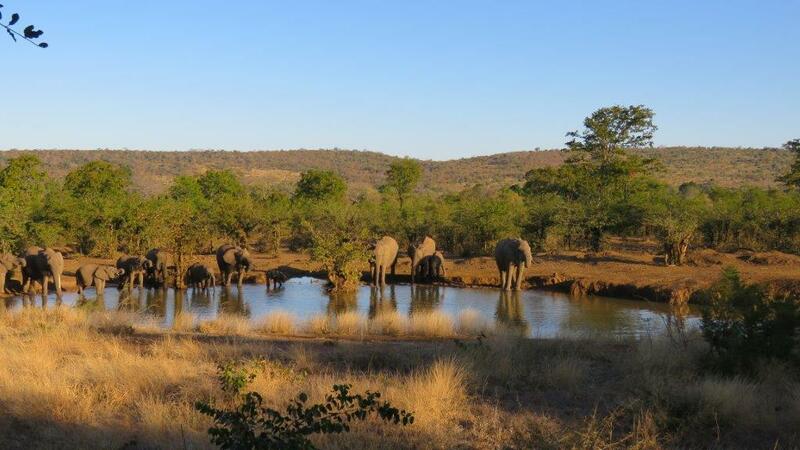 The new partner to the Makuleke people as concession holder is Elsmore Investments who will rebuild the Pafuri camp and start operating it again during 2015.